So I was finishing up my grocery shopping when I saw someone that I had a falling out with a year or so back. This person said some very hurtful words to me, judged me, and then severed all conversation. I had heard through some other mutual friends that, more recently, this person felt bad and had asked how I was. Today when I saw them, he/she (to protect identities) smiled and waved, called me over toward them and asked how I was. To be honest, I wasn't sure how to respond...I didn't have a context for this. Words had been thrown out into a public space and never discussed again...no one had said "I'm sorry" or "Hey, can we talk about what happened?" Instead all those open, frayed ends were just walked over and ignored. And that puts me in a place to have to pretend something that I can't...or don't want to. 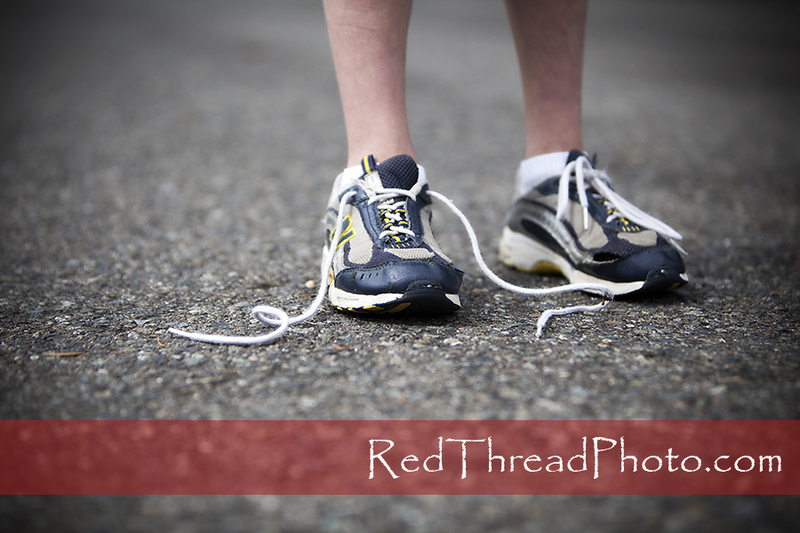 I imagine that sometimes unresolved conflict is like untied shoelaces. A part of life has "come undone" and is just dangling out there. Sure you can still walk and even run, but eventually you are probably going to trip over them and they will take you down. Words left unspoken hurt just as much as the ones that were said. Conversations left undone cause fragmentation and leave us living with pieces instead of wholeness.